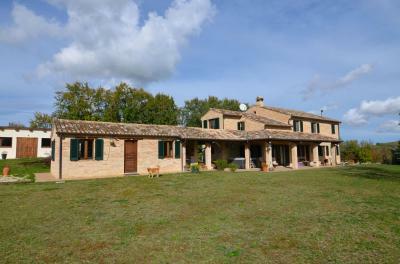 Wonderful Country House property not far from Senigallia's velvet beach, the Conero coast and the karst beauties of the famous Frasassi Cave. The property is composed of a huge ex-colonial building which has been cleverly restored, where a delightful and characteristic 50-seat restaurant, three guest houses with independent entrances and a panoramic exterior porch, were built on the ground floor. On the first floor was realized the master apartment consisting of kitchen, living room, two bedrooms, bathroom and mezzanine. On this floor there are also five double bedrooms all with en-suite and a common living / sitting area. Outside, the property features a magnificent garden of about 10000 sqm well maintained and maintained where there is a storage room with a characteristic wood-burning oven, several sheds / pergolas, a large jacuzzi and an interesting building of about 100 sqm in a yoga / gym room with bathrooms of service. 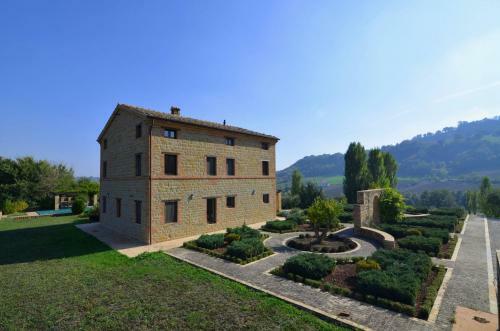 Unique setting immersed in the Marche countryside but within walking distance of the Adriatic Sea.